Here at Dr. Raw, our team of herbalists have been creating organic marijuana edibles for nearly a decade. We thought it would be a good idea to introduce ourselves in this post and tell our tribe how we started. About 10 years ago we discovered one of the most sacred places on earth – Rosarito, Mexico. It is a place very dear to our hearts where many special memories exist. On one special trip there, we had the pleasure of preparing dinner for a group of people that owned a marijuana dispensary in Southern California. Impressed with our culinary abilities and a shared love of cannabis, they invited us to create edibles for their dispensary back stateside. Sure enough, they delivered on their promise and brought us two black garbage bags bursting open with cannabis. We began experimenting with new recipes and formulas until the wee hours of the morning. On our journey, we became downright obsessed with making each recipe the best it could be. We found a local cannabis lab where we could test our edibles to check our work and further refined the art through hundreds of lab tests. A few years later, the dispensary owners closed up shop, moved out of state and the edible gig was over. Devastated, we scratched our heads, stiffened our upper lip and set our intention on starting a brand that could be recognized as the highest quality in marijuana dispensaries all over California. In that passionate moment, Dr. Raw Organics was born and we are proud to celebrate 100 stores carrying the brand in 2017. Most of all, we want people to be able to trust the potency of our creations. Furthermore, they should be able to accurately dose themselves with a proper dosing guide and product packaging. Organic marijuana edibles have been avoided by many people due to wild inconsistencies in lab testing and product quality. We found that with a little love in the kitchen and regular lab testing, we could squash the stereotype and make truly delicious and consistent organic marijuana edibles. It really disappointed us that people were often afraid to consume marijuana edibles. We’ve been enjoying them for years and love the effects of edible forms of cannabis. Mostly, people are afraid of marijuana edibles because of their wild inconsistencies in potency. Everyone has a story about that time they ate an edible and they went to outer space for 48 hours and had to call in sick to work. We thought if we can eliminate that stereotype people will begin to love marijuana edibles again. With each new version of our infused edible marijuana products, we aimed to give our tribe exactly what they asked for based on the feedback we received. First, people wanted a low dose, bite-size marijuana edible so we created our 10mg dose THC Candy Hearts. Then, people asked for a blended ratio, consequently, we created the 1:1 CBD:THC Candy Hearts. Lately, people have asked for high potency marijuana edible stronger than all the rest, so we created the 500mg Red Velvet Brownie. Then a tincture and even a topical balm. If we had a request for it, we tried to fulfill that request to learn and collect as much feedback from our cannabis pioneers as possible. It seems like the more feedback we collect, the more people are asking for blended ratios of THC and CBD. Many people feel that the 1:1 ratio benefits them the most, so you’ll find that ratio in a few of our products. We have a blog dedicated to the effect of the 1:1 ratio where we go further in depth. 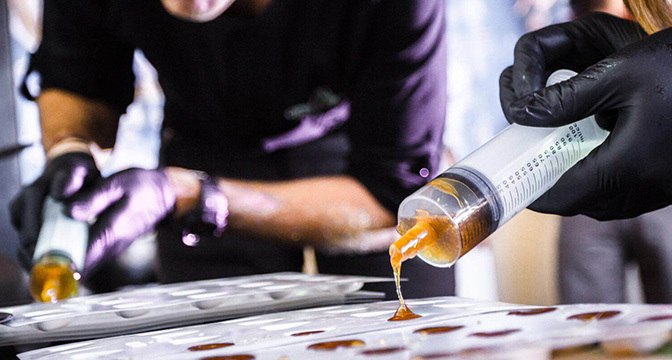 Based on these experiences, we feel strongly that our industry should explore more marijuana edibles with equal or greater ratios of CBD to THC. Higher levels of CBD in edibles is also beneficial because it reduces the sometimes overwhelming psychoactive effects of THC. Many people ask us if we have any CBD only edibles. We did make them in small batches and spread them around to collect feedback. Most people said that THC only was too strong and often disorienting, while CBD only just didn’t work as well for them for pain relief and sleep. A little of both seems to be what people benefit from the most so you’ll find more equal ratio products in our line up in the future. 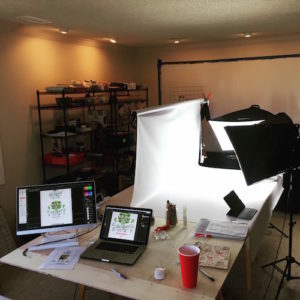 Lot’s of people are curious about what products we use to create marijuana edibles in our kitchen. We’ve gone through each component of our recipes and assured all of our ingredients are 100% organic and non-GMO. Also, the chocolate in our recipes is fair-trade! Below is a list of the main organic, non-gmo ingredients we use in our recipes. 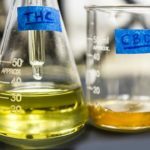 We use a high quality, lab-tested Co2 extracted marijuana oil because it is known as one of the cleanest, safest forms of creating marijuana extracts for marijuana edibles. Products are lab tested three times during production: when we receive the oil it comes with a test guaranteeing the potency, we then re-verify the lab test in our own lab to confirm those results, and then one more lab test to verify the final product is accurate. As a result, we find our potency tests to be highly accurate every time so you can dose with confidence. At Dr. Raw, we are committed to keeping our ingredients as pure as possible by using all organic, non-gmo ingredients. We also promise to keep our processes transparent so you know exactly how our products are made. 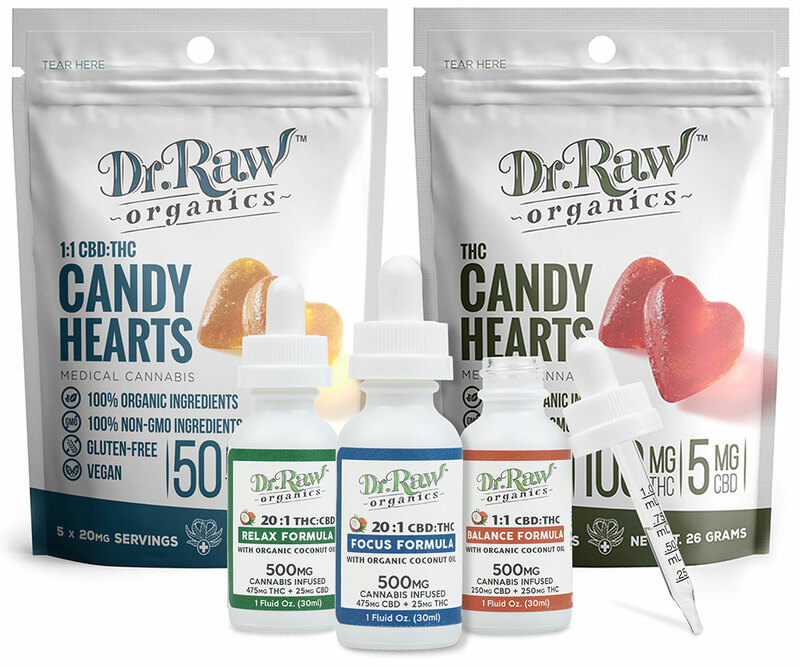 Furthermore, if you have any questions regarding our organic marijuana edibles, feel free to give us a shout at info@drraworganics.com. I am opening Hippocrates Wellness Center Redondo Beach, CA in July. I may be interested in selling your products in my store. I used to purchase Auntie Dolores Savory Pretzels, but they are not making them anymore. Do you offer a non-sweet edible for purchase? If so, where would be the closest place to Dana Point? Dr. Raw Tinctures are made with highly distilled, pesticide-free edible THC oil leaving a nearly clear, tasteless tincture. Tinctures can be taken sublingually or put in food.You can ask your local dispensary to carry Dr. Raw products if they don’t already do so. Thank you for visiting our blog! Made with 100% Organic, Non-GMO, Pesticide Free Ingredients.